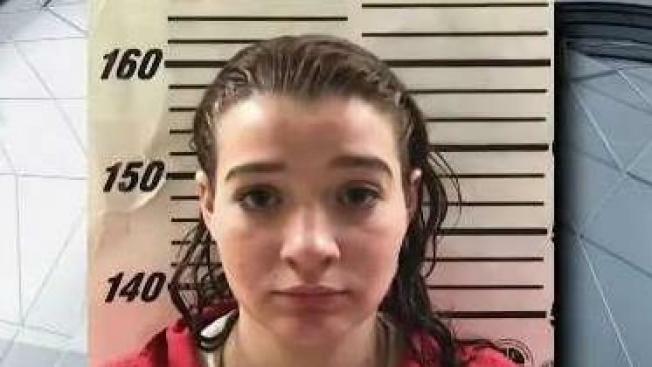 Savannah Smith, 21, is accused of killing a 2-year-old girl in 2017, a year in which there was an uptick in child deaths in Maine. Maine State Police say a 21-year-old woman has been charged with murder in the 2017 death of a 2-year-old girl. Maine Department of Public Safety spokesman Steve McCausland says Savannah Smith, of Bucksport, was arrested at a motel Thursday evening. Authorities say she has been indicted and charged with murder in the death of Kloe Hawksley. Kloe was found dead inside of a Bucksport home in October 2017 following a 911 call regarding an unresponsive child. Police have been investigating the death since. Police say Smith was dating Kloe's father, Tyler Hawksley, at the time of Kloe's death. She is being held at the Hancock County Jail. It wasn't immediately known if she had a lawyer. According to documents published by the Bangor Daily News, Hawksley is one of 22 children who died in Maine after state agencies were contacted about their health and safety. The newspaper’s request shows more than a dozen of the deaths were determined accidental but Hawksley and a fourth child, Quinten Leavitt, are murder victims. “There’s definitely been a spike since 2017,” said the head of the Maine State Police major crimes unit central division, Lt. Jeffrey Love. Maine State Police Lt. Jeffrey Love works in the state major crimes unit central division says there was a real uptick in child homicide and abuse investigations in 2017 though 2018 numbers returned to normal. “Children, they’re the most innocent people that we have that we have that we work with,” Love said. Smith’s arrest on Thursday night is an example of just how raw and sad these cases, even for bystanders. “We were literally shocked,” said Kaleem Adnan, a manager at the Spring Fountain Motel. An arrest, however, at least In Hawksley’s case, did not prevent her death. That’s why Maine lawmakers want to move fast to fix any problems in the state systems meant to prevent child neglect and abuse. Lawmakers want action, too, in the form of signed legislation for a child welfare system overhaul. Next week, Maine State Sen. Bill Diamond, a Democrat, says he’s going to unveil a draft bill to form a committee tasked with overhauling Maine’s child welfare system. Diamond says it’s imperative lawmakers craft a plan because lawmakers are “running out of time” to take action this year. The state’s legislature adjourns for the year in June and Diamond says a committee would need to work through summer and autumn to have a plan ready for the 2020 session.